Eight lines are now available at Beziers airport. 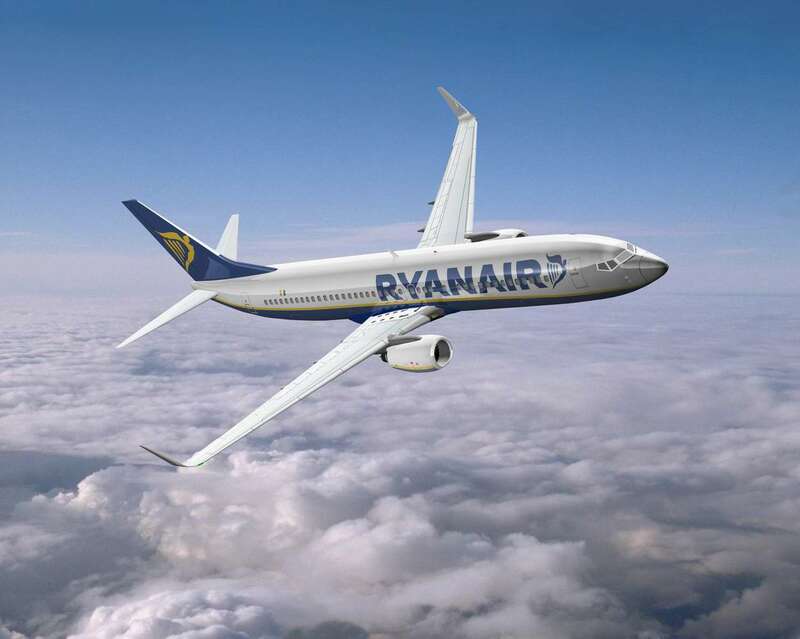 London Luton, four weekly flights are scheduled Mondays, Tuesdays, Thursdays and Saturdays. Bristol, Mondays, Wednesdays, Fridays and Sundays. Southampton Airport three flights on Mondays, Fridays and Sundays. NEW route to Manchester - two weekly flights, on Mondays and Fridays. AIR France and easyJet have opened new operational bases at Nice Airport - and confirmed expansion plans there giving flights to 11 new destinations. EasyJet has three new international destinations - Barcelona, Naples and Venice - and four in France, Bordeaux, Lille, Nantes and Toulouse. Air France has four new lines, to Athens, Naples, Tel-Aviv and Venice. The two companies are fierce rivals at Nice Airport - the busiest airport in France outside Paris - where Air France has a 30% share of the market (2.7 million people), mostly domestic flights but also to Tunis. EasyJet has 21% - but while Air France passenger numbers show only a slight growth of 1.7% easyJet has seen numbers soar 18.2%. However, Air France has been rocked by the after-effects of strike action - it lost €800 million last year - and unions have called a new strike for March 30. The strike, over plans to cut costs, is not being supported by pilots or other aircrew so only ground staff will be affected. Its plans for Nice Airport mean basing eight plans and their crews there to cut costs - by as much as 15% - allowing fares as low as €50 single to its destinations. Nice saw 10.4 million passengers last year but 2012 so far has shown zero growth. 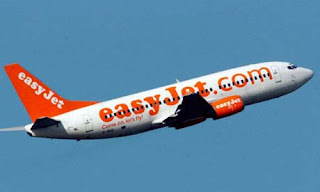 That has hurt the French airline with numbers 7.7% down - although easyJet saw a 5% rise. Increasing passenger numbers have driven the easyJet expansion at Nice where it is now basing two Airbus 319 aircraft and also at Toulouse where it has opened another base. The company now has five bases in France - Paris Orly and Charles de Gaulle, Lyon, Toulouse and Nice - the most of all its markets. Nice Airport sees the new bases giving the potential for more passengers - 350,000 for easyJet alone - and it is examining plans for a new €82m low-cost terminal beside Terminal 2 with a capacity of 4m passengers. 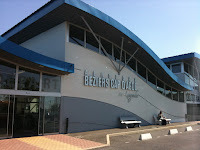 Beziers Cap d'Agde Airport continues to expand. After welcoming 195,000 passengers in 2011, up 48.3% growth on 2010, the airport will continue to grow this year. 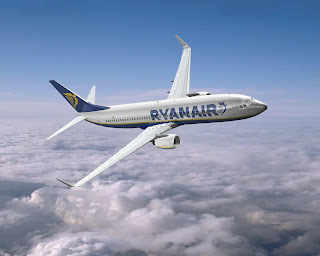 - The eighth new line to Manchester - 2 flights on Mondays and Fridays. The line to / from Paris Beauvais - 4 flights a week on Mondays, Wednesdays, Fridays and Sundays, with the late afternoon schedule is particularly suitable for short stays during the week or on weekends. Béziers Cap d'Agde Airport is expected to host nearly 215 000 passengers this year generating economic benefits of nearly € 65 million on the year. Shuttle buses at € 1.5 are available to and from the arrival of each flight to / from Beziers * Bus and train stations, Vias, Agde train station *, * Marseillan Ville (* correspondence with Transport networks Herault, Herault Mediterranean Thau agglo). Thanks again to Robin at WoW for this update. Bright and inviting - the new Trib's outlet lifts the departure lounge. Comfortable chairs and sensible sized tables, with fresh, simple and quality food should be a hit with passengers and "collectors" alike. Plat du jour at 14.90€.